We’re number one fans of our fans. (We’re sure you know how much you contribute to our existence.) So we want to thank you all with a column dedicated to you: “Friendly Fridays”! Once a month, we will be featuring a certain friend and their Knock Knock stuff-related stories. 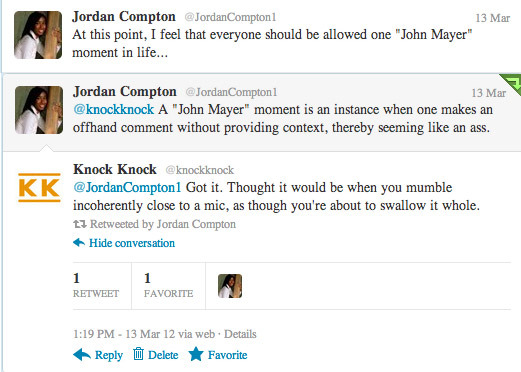 @JordanCompton1 has been a longtime Knock Knock-Twitter crony. Our day-to-day convos mainly span the arts and pop culture, but also sprinkle in discussion of pickup lines she overhears from time to time. Our FOKKer of the Month, Jordan! 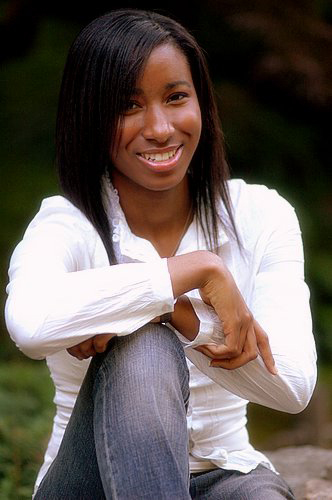 Occupation: Fashion retail associate, nonprofit volunteer, and aspiring blogger. Favorite KK Product? 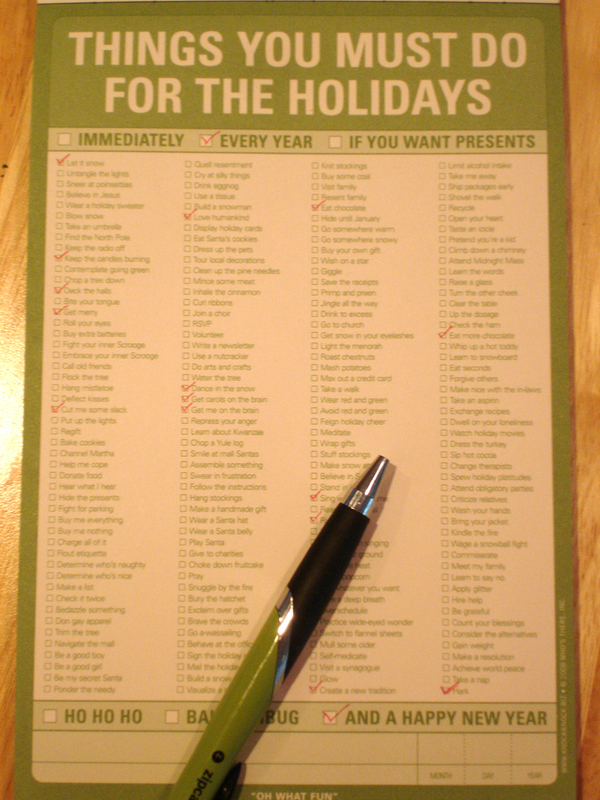 While I enjoy all of Knock Knock’s products, one of my favorites is actually a seasonal one: the Things You Must Do for the Holidays Pad. The list of suggestions is long enough to suit everyone I know, whether they are naughty, nice, or like most of us, somewhere in between. I give sheets to people as a way to lighten the mood and remind them to enjoy the season. 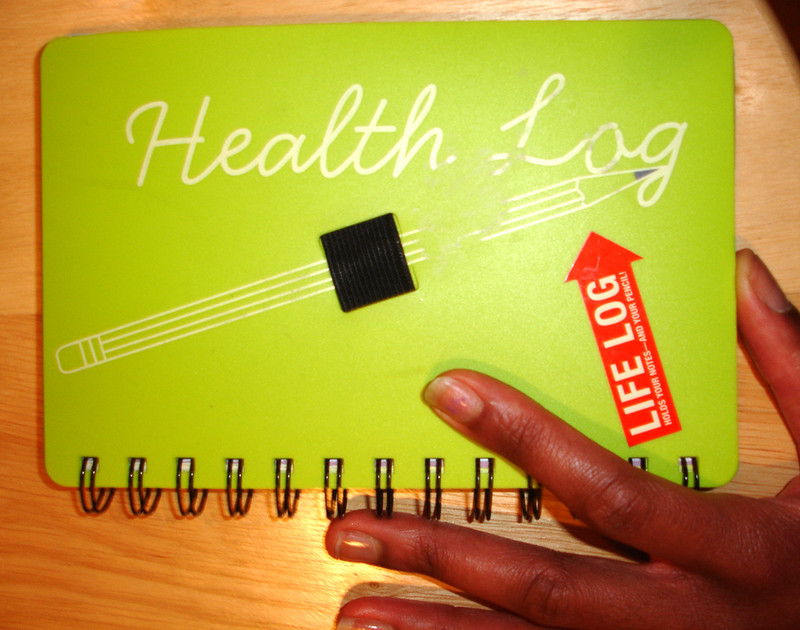 I also use the Health Life Log, as I consider fitness to be a lifestyle (and I spent a decade training as a ballet dancer). But every health regimen should allow for indulgences, so I try to save room for a Knock Knock dark chocolate bar. 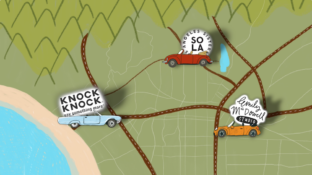 Knock Knock Story Time: I became familiar with Knock Knock several years ago through visits to a store that I lovingly call “The Hipster Emporium.” (You can probably guess its real name.) I eventually started working at the store. In my off-hours, I get a kick out of reading books like Pickups & Come-Ons for All Occasions, A Year of Fortunes (Without the Cookies), and the collection of insults and comebacks . . . not that I use those. When I really want to be snarky, I just send a citation to my sister, who wrote the book on pranks and cruel humor. Next up, Fashion Citations!